My name is Eric. My background is in International Business, Spanish, and Music. I studied business in Peru and Brazil and worked in the manufacturing industry for over a decade before I decided to get into teaching. 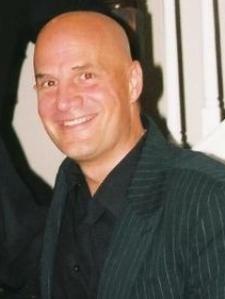 I have been working in the Easton Area School District since 2002 and teaching guitar and piano privately as well. I enjoy teaching business concepts and music and I make every effort to understand how the student learns new ideas and how best to teach them. Not everyone learns new concepts the same way or at the same pace, and I have aways felt that it is the teacher's job to help the student discover how they best learn and retain new information. I make every effort to assure the student feels comfortable asking questions and discussing the material with me in an effort to assure they understand the material. I believe the student and the teacher have to work together to make the experience a successful one. Eric did an outstanding job, I will continue to use his tutoring services. He knows how to show step by step when it comes to complex problems. He Breaks them down in such a way that it is easy to follow and understand. I am a grad student in a managerial accounting class with one of those teachers that just over complicates problems. Eric really just broke everything down into simpler terms and equations for me to easily figure it out. After our session I went back over the problems and some newer ones and they are really starting to click. Highly Recommend. Eric is very fluent in Spanish and knowledgeable. He is encouraging and connects well with students ! We notified him of our need and he made time for us the same day ! Awesome !! Eric was very professional and did an outstanding job. He really knows what he is talking about. I would recommend him to anyone who need help with accounting work. Eric was very patient and engaging! Eric first went over and tried to establish what I knew and was comfortable with in terms of prior Spanish knowledge. We further discussed ways of integrating myself via Spanish TV programming and conversation with family and went over translating grammar and working with short paragraphs. Looking forward to working with Eric! Eric is awesome. He has a great understanding of the material and breaks it down into an easily understandable format. After 3 sessions working with Eric there has been a tremendous improvement in my son's quiz grades. My he is building confidence and looks forward to working with Eric! My son has been working with Eric for a while now. He has brought his average up and his teacher at school sees a huge improvement. He still looks forward to tutoring with Eric, which is really great!